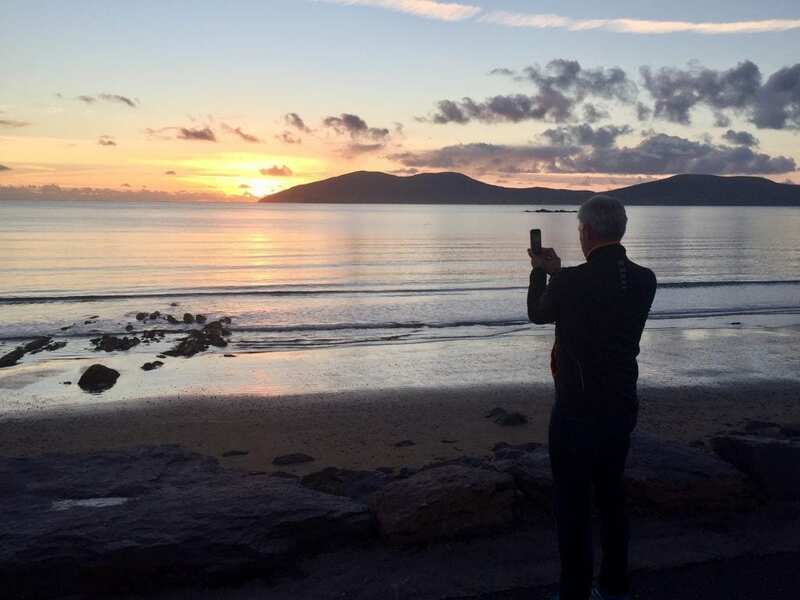 Waterville- Your destination on the Ring of Kerry | Stop, Explore, Enjoy! Poetry Day, 2ndMay, Church Island, Lough Currane, Waterville. If you enjoy food, fun and friends - you will love Waterville, Ireland! 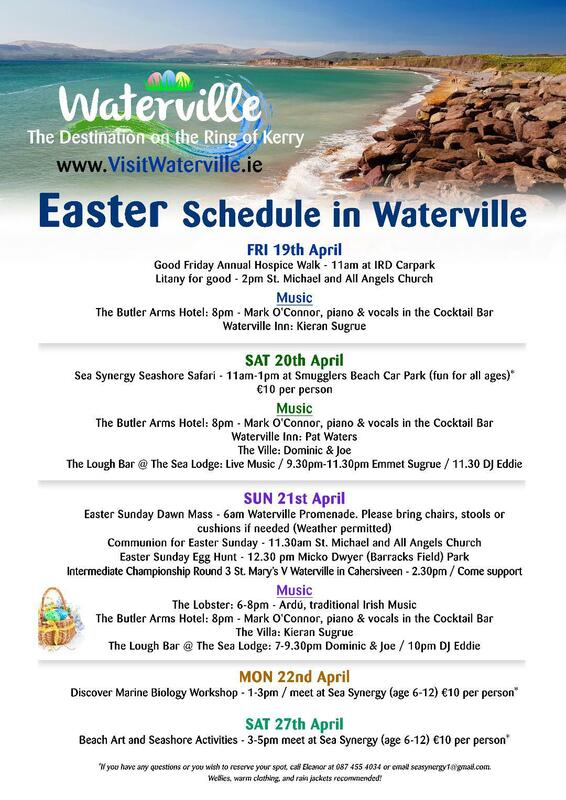 Waterville - the BEST place to stay on the Ring of Kerry! 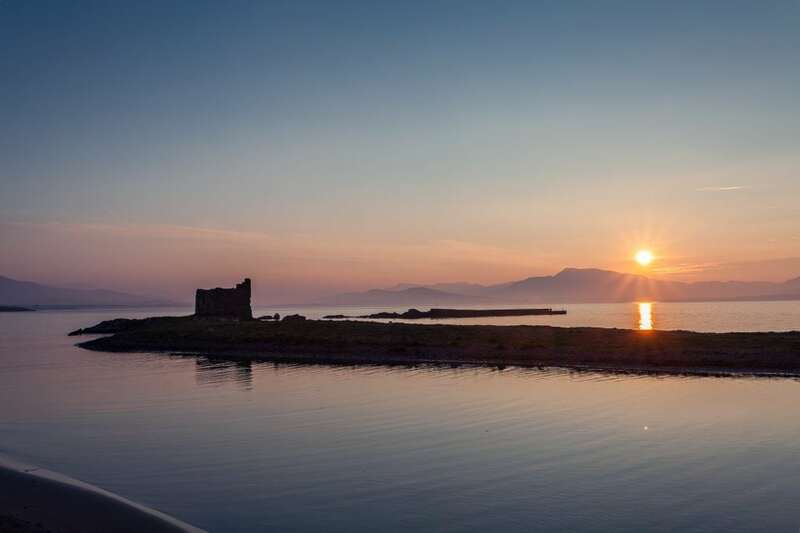 Enjoy Waterville - the only seafront village on the famous Ring of Kerry in Southwest Ireland. Whether you're looking for world-class golf, beautiful scenery known for its spectacular light, fantastic food, or a quiet pint at a historic Irish pub, Waterville has you covered. With a history of hospitality for over 200 years, we know how to care for our guests. 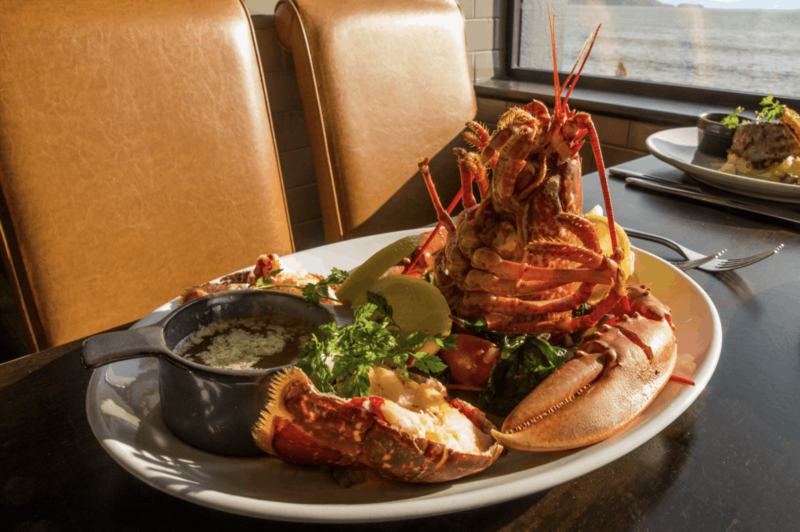 Dine in our first-class restaurants serving local food - lobster, mussels, salmon, prawns - Waterville is the seafood capital of Ireland! Enjoy fresh Kerry lamb or grass-fed beef from just around the corner. End your evening with the best of Irish gins or whiskeys..... Sleep late and do it all again! Go to bed after watching waves crashing on the rocks under a breathtaking sunset - then wake up in the morning and see the sunrise reflected in still lake water, as still as a mirror! Sip a hot whisky standing on a hillside in the middle of the night while a sea of stars opens up above you; Iveragh peninsula is home to the Kerry Dark Sky Reserve - the only Silver Reserve in the northern hemisphere. The star gazing is mind-blowing! Go for a walk, a cycle, a paddle or a round of golf. Relax in a hot bath after a day of sport. Whatever you do, slow down, relax, take a deep breath - and take a break in Waterville. The longer you stay, the more you discover! Waterville (An Coireán) is a small coastal village located between the Atlantic Ocean and Lough Currane on the scenic and famous Ring of Kerry along the Wild Atlantic Way. Renowned for its game angling and its 18 hole championship golf links, Waterville is also a paradise for the hill walker, cyclist, pony trekker, ornithologist, astronomer, archaeologist, fishermen, water sport enthusiast and indeed for the general holidaymaker interested in immersing themselves in the REAL Ireland. There are many amenities within Waterville including supermarkets, a petrol station, activity providers, a hardware store, co-op, chemist, galleries, post office, craft shops, designer fashion houses, hair salons, medical centre and a village market. There are numerous restaurants, bars & cafés serving food throughout the year - much locally sourced - as well as a huge selection of accommodation. Peruse our website and get a taste of what Waterville has to offer - and join the many travellers who make Waterville a place to return to, again and again. Activities to keep you entertained! Click on the links below to see our features and services that make Waterville the best place to stay on our beautiful peninsula..